Once you start college, you may find you suddenly have a lot on your plate. It’s true the environment greatly differs from high school. However, much like high school and below, there are a number of required courses you’ll have to complete to graduate—such as American Government. However, there’s a way to skip taking the course while still gaining the credits you need to progress: passing the CLEP American Government exam. 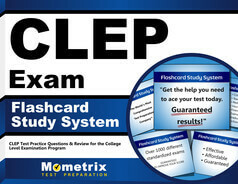 The purpose of the CLEP exam is to evaluate your knowledge of college subjects. By earning a passing grade on this exam, you will be able to get out of taking classes featuring content you’re already knowledgeable of, thereby advancing more quickly through your required classes and orienting your studies more toward your interests. Because this is a college-level course, you can expect the materials to exceed the government classes you took in high school. An American Government course (and the CLEP American Government exam, by extension) covers our political system with far more depth, getting into the meat of US political history, development, and procedures. While this may sound like an intensive amount of subject matter to keep track of, the Mometrix Test Preparation team wants to ensure you have nothing to fear. We care about your success, which is why we strive to provide you with the tools to study effectively. 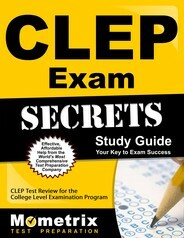 On this page you’ll find a thorough CLEP American Government practice test, created through extensive observation and research of the real CLEP. Through our practice exam, you’ll be able to familiarize yourself with the full exam’s contents and evaluate your strengths and weaknesses well in advance, allowing you to better customize your study plan and tackle problem areas. On the exam you’ll find 100 CLEP American Government questions total dealing with knowledge categories. We offer this comprehensive resource to you at absolutely no cost. This study tool pairs best with our CLEP American Government study guide, but will also prove effective if used standalone. You can also find other resources like this throughout our website. Good luck!